At the risk of blog-rolling, great analysis. As soon as I can, I will steal it - er, discuss/link to it! 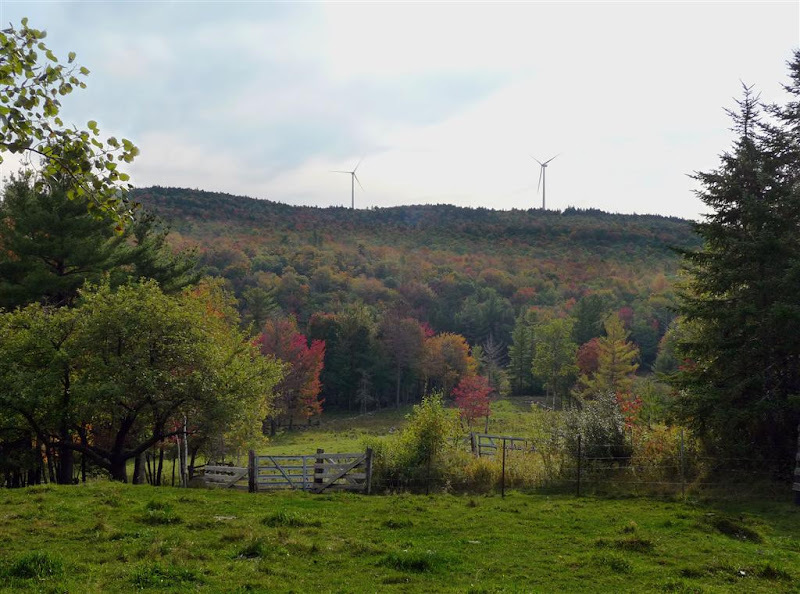 By the way, this post is now the official reference in the Wikipedia article "Wind Power in New Hampshire" for the Lempster Mountain annual output figure. So you have to maintain this blog forever, or disappointed Wikipedia hordes will descend upon you! Thanks for the comments and the link-back on Wikipedia. Once I saw you were quoting the Lempster annual production, I went back to re-check where I got that. I thought for sure I read it was 30% somewhere, but to be sure I went back to the PUC filings and saw that Lempster Wind LLC was projecting 33%. That raises the annual production from 63k to 69k. Anyhow, I updated all my figures above to reflect the correct 33% capacity factor and I'll update the wikipedia article as well. Sorry about that! Based on an email I got from the folks at Iberadola Renewables (the company that build the Lempster Wind project), I've updated the Lempster Wind capacity factor again. The 33% number I used was from some PUC filings by PSNH, but Iberdrola tells me that 36-37% is the correct number. I'll also fix the wikipedia article as well. placed in service on 10/31/2009. you want to look up the below data. In 2011, it had a capacity factor of 22.5% for the first 9 months. Why are the CFs so low? Winds on ridge lines have highly-irregular velocities AND directions. CFs. Wind vendors are very familiar with this, but do not mention it.